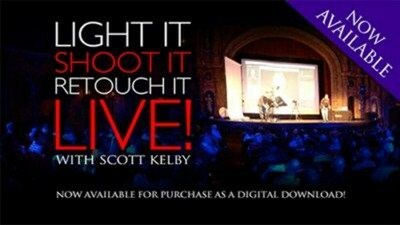 Writing Workshop Scott Kelby - Light It. Shoot It. Retouch It. seminar consists of 5 sessions. Each begins by the installation of light and ends the processing in photoshop. The book is also present at the seminar.